NEWS – I love my Apple Watch, and I love it even more after I replaced the Sport band with the Milanese band. I got the Milanese when I got the Series 1 Watch. Although I had the aluminum Watch, I thought the stainless Milanese worked well with it. When I upgraded to the Series 3 Watch, I just transferred my stainless Milanese band over to the new black Watch. I’d like to have a black Milanese, but I just don’t want to spend another $149.00 when the stainless one I have works fine. Casetify has some beautiful stainless steel mesh bands for the Apple Watch that are priced low enough that I just might take the plunge and get a black band. The Casetify bands are styled like Apple’s own band. It’s infinitely adjustable to fit your wrist. It has a magnetic bar that holds the band closed, just like Apple’s. The Mesh Band is crafted with woven stainless steel, and it is available to fit both the 38mm and 42mm Series 1, 2, or 3 Watches. The 38mm band fits 5.5″-7.9″ wrists; the 42mm fits 5.9″-8.3″ wrists. The Casetify bands are available in rose gold (Series 1,2), yellow gold, gold aluminum (Series 3), space grey, purple, iridescent, silver aluminum, and black. The normal price for these bands is $82, but they are on sale now for $66.00. 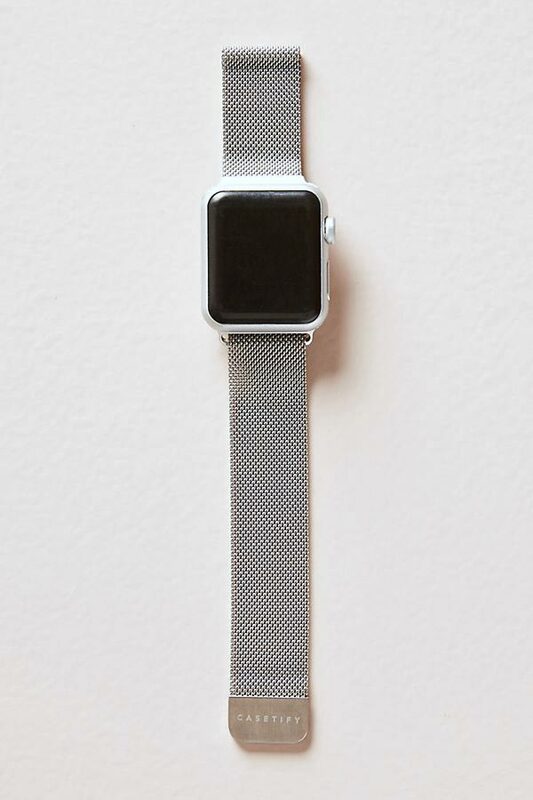 The Stainless Steel Mesh Apple Watch Band is available at Casetify. 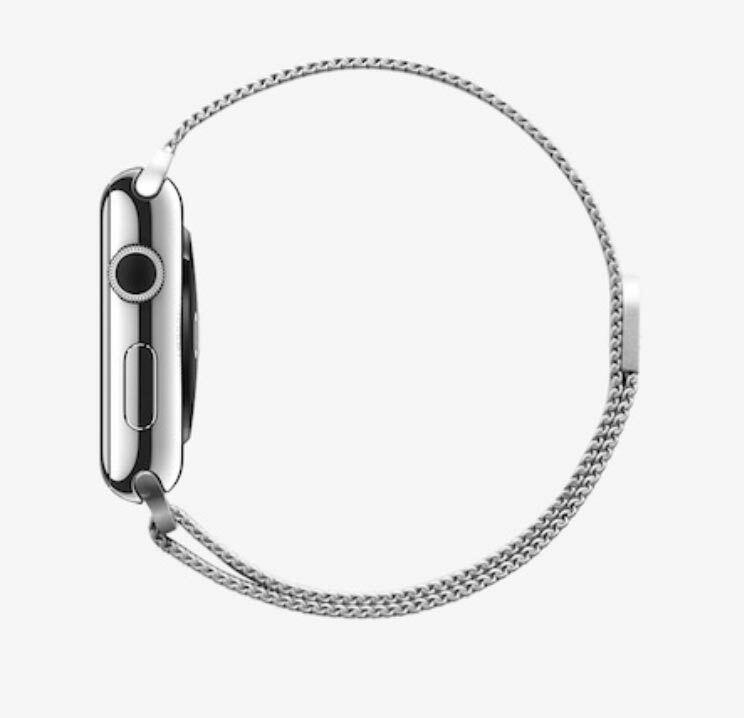 Actually, the black Milanese band is $199. Which is why I still use the silver one with my space grey watch.